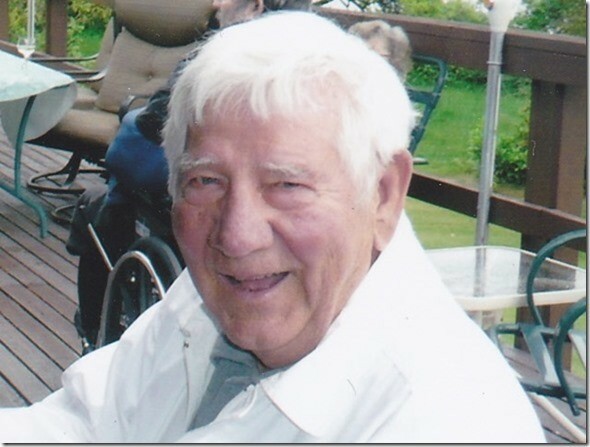 LeRoy Jason Topp of Vashon, WA., passed away comfortably on March 15, 2019. “Roy” was born on August 1st, 1924 in Grace City, ND where he spent his youth., After high school, Roy served in the US Army from 1943 - 1946 and participated in WWII in North Africa. After his military service, Roy attended the University of Minnesota where he met Dorothy Wedin while earning his master’s degree in Mathematics. Roy and Dorothy were married on September 10, 1949 and was hired by the Boeing Company in 1951, where he earned his second master’s degree in Aeronautical Engineering from Wichita St University. Roy transferred to Seattle, WA. in 1962 and found his lifetime home on Vashon Island, where he served on the board of Vashon Lutheran Church and President of Vashon Golf and Country Club. Roy retired in 1984, he spent his retirement traveling with Dorothy both here and in several countries around the world, fishing, gardening in his yard and sharing his love and generosity with his grandchildren. As a resident of Vashon Community Care, Roy made many friends at VCC, where he was treated with caring and veneration. Roy’s kindness and good sense of humor were with him always. Roy is preceded in death by wife Dorothy and son Richard and is survived by daughter Patricia and son-in-law Stanley Moe of Vashon, WA., son Marcus and daughter-in-law Rebecca of Ocean Shores, WA., daughter-in-law Cherie Bevers of Monroe, WA., sister Betty Grubb of Tioga, ND., 8 grandchildren and 12 great-grandchildren. A Memorial Service will be held on Saturday March 30th, 2019 at the Vashon Lutheran Church at 11:00 am to celebrate Roy’s very full life and memories. Memorial donations in Roy’s name can be made to your favorite charity.